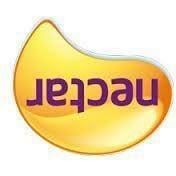 From 11th April Sainsbury’s reduce their loyalty points on their Nectar card. This move from Sainsburys may save them money in the short term but in the long term it could hurt the supermarket hugely. When Sainsburys announced this change last year it said that it would be making better and bigger offers, with more included in their double-up voucher scheme at Christmas. However, in reality the “double up points” scheme that was limited to £20 per department and many staff didn’t even know what was in and what was out of the offer with confusion around Christmas gifts and food. £20 limit on toys for a family of 4 isn’t very helpful either. I know I just kept going back and doubling up for alcohol! Very inconvenient for customers. This sort of thing, reducing offers and making it complicated annoys customers greatly and for Sainsbury’s to increase their profits they need to be mindful of making things more difficult for customers if they want to develop loyalty. In glaring contrast, Tesco has the more developed reward scheme, with the most frequent doubling-up of value and range of items to spend points on. It also improved its voucher scheme for Christmas, having simplified the doubling-up process so customers could spend across departments with no limit. As you know, I have had several run ins with Tesco and people often ask why I still shop there. The loyalty scheme is right up there, I’ve saved hundreds of pounds using it making it much cheaper than other supermarkets overall. In a benchmarking survey of 1,000 UK consumers, the marketing and data specialists GI Insight, found that companies in the supermarket sector are by far the most popular loyalty scheme providers, as more than three quarters of respondents are members of at least one supermarket loyalty programme. The supermarkets, in terms of the percentage of consumers who are members, remain active and recognise the brand’s ability to effectively analyse their data to deliver relevant and useful offers. Supermarkets fighting the price wars and offering price matching need to find other ways of retaining and attracting customers. I think Mike Coupe is at risk of making the same mistakes as Clarke. Never mind all the analysis of this, that and the other, Tesco’s downturn in fortunes boiled down to one simple thing, Clarke didn’t listen to customers and that filtered through the company. With only an eye on growth and making more money he didn’t care about exiting customers and they left as a result. Customers flocked to social media when Sainsburys announced that they would be reducing the value of nectar points, making their feelings clear, with many customers saying that they would be leaving the supermarket. It will be interesting to see what the following quarter is like too, when the cut in loyalty points kicks in and if Coupe continues not to listen to customers. Perhaps it about time that supermarkets took on an ‘Every listen helps’ slogan”! Should you wish to contact Sainsbury’s CEO, do so here. What are your thoughts of the loyalty schemes? Pingback: Tesco reduce Clubcard loyalty offer? Pingback: Are you supermarket loyal? Next Next post: 6 ways the CEO screws up!